Recent years have seen an emergence of social emotional computer games for individuals with Autism Spectrum Disorder (ASD). These games are heterogeneous in design with few underpinned by theoretically informed approaches to computer-based interventions. Guided by the serious game framework outlined by Whyte et al. 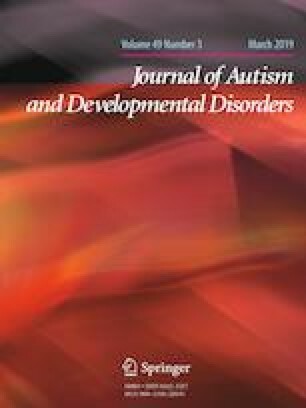 (Journal of Autism and Developmental Disorders 45(12):1–12, 2014), this study aimed to identify the key motivating and learning features for serious games targeting emotion recognition skills from the perspectives of 11 youth with ASD and 11 experienced professionals. Results demonstrated that youth emphasised the motivating aspects of game design, while the professionals stressed embedding elements facilitating the generalisation of acquired skills. Both complementary and differing views provide suggestions for the application of serious game principles in a potential serious game. The online version of this article ( https://doi.org/10.1007/s10803-018-3801-9) contains supplementary material, which is available to authorized users. The researchers would like to extend our gratitude to youth on the autism spectrum and the professionals for the time and effort taken to participate in this focus group as well as Melissa Black, who assisted in data collection and Greg Lynn who provide assistance in data transcription. JT conceptualised and designed the study, involved in data collection, analysed and interpreted the data, and contributed to drafting the article. MF conceptualised and designed the study, interpreted the data, and revised the draft. NC interpreted the data and critically revised the draft. SB conceptualised and designed the study, revised and critically contributed to the intellectual content of the article. SG conceptualised and designed the study, involved in data collection, interpreted the data and critically revised the article. All authors contributed to and have approved the final manuscript. This research is supported by the Cooperative Research Centre for Living with Autism (Autism CRC) [Project Number 3.032RS], established and supported under the Australian Government’s Cooperative Research Centres Program. JT is supported through an Australian Government Research Training Program Scholarship. The authors declare that they have no conflict of interest. SB reports no direct conflict of interest related to this article. SB discloses that he has in the last 5 years acted as an author, consultant or lecturer for Shire, Medice, Roche, Eli Lilly, Prima Psychiatry, GLGroup, System Analytic, Kompetento, Expo Medica, and Prophase. He receives royalties for text books and diagnostic tools from Huber/Hogrefe, Kohlhammer and UTB.